Time for recovery is something some individuals lack to dedicate to recovery. However, a lack of time should never be a reason for not seeking treatment for addiction. While an inpatient program is helpful for some, others will find an outpatient treatment program more suitable. No matter which step you choose to take, it’s vital to remember that recovery is possible. An outpatient treatment program at Morningside Recovery can be the next step for those ending an inpatient rehab. Clients who have successfully transitioned through the initial phases of inpatient or intensive outpatient treatment will benefit. Those who have finished an inpatient or intensive outpatient program require more support as they enter back into their life. An outpatient treatment program provides both support through counselors and a routine to schedule their day around. This routine and schedule can help with entering back into life after an inpatient stay. An outpatient treatment program is also best for those who lack the time it takes to stay at an inpatient facility. Those who wish to remain in school while they work towards recovery will find outpatient treatment more suitable. Others who find this program helpful are those who don’t have severe addictions or those who wish to remain at home. While some individuals don’t mind the change of scenery, others find that leaving their homes causes more stress during the process. An outpatient treatment program can allow clients to stay in a familiar setting while still attending meetings and sessions. Individuals will have more freedom than people in the initial first month of treatment, allowing them more time to participate in outside obligations like school or work. Outpatient treatment is usually scheduled for three months and consists of classes scheduled during the day, evening or both. 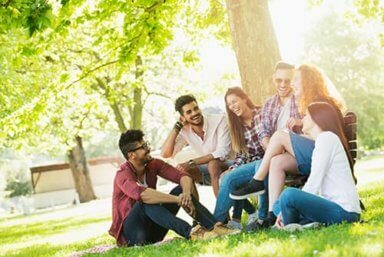 During this time, clients will attend groups covering topics such as relapse prevention and developing healthy habits to help them cope with emotional triggers and negative emotions associated with addiction and co-occurring mental illnesses. They will learn to identify and understand the mechanisms that fed their addictions and other problematic behavior. Through education on self-monitoring and utilizing the benefits of recovery-based meetings in the area, clients will learn how to be more self-reliant, responsible, and accountable. They will continue to build a life for themselves in recovery and be able to successfully integrate back into the real world after they’ve completed treatment. Morningside Recovery embraces dynamic programming for treating our clients. As they progress in treatment, so will their options. They will start to have more therapy options to choose from and more freedom to participate in outside activities. The primary purpose outpatient treatment is to prepare our clients for success. Our staff wants to help make the transition into life after treatment as smoothly as possible. We believe in the success of our outpatient treatment programs. We also have confidence that our we have rehab programs to suit everyone’s needs when it comes to recovery. Reach out to us today through our form or call at 855-416-8202.